At Mendelsohn Dental on Royal we pride ourselves on the excellent service we offer to all our patients. We are a private clinic located in East Perth and we offer services ranging from General Check and Cleans to high end Dental implants and Cerec 3D Dentistry. But we are most proud of the fact that we Provide GAP free Dental Treatment to Children who are eligible for the CDBS Dental Payments. 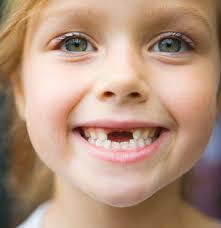 CDBS gives eligible children upto $1000 Dental work over a 2 year period. CDBS covers services including examinations, cleans, x-rays, cleaning, fissure sealing, fillings and extractions. We have a Special Clinic running on a Tuesday and Wednesday every week for eligible children. CDBS is available for children between 2-17 who receive an applicable government payment (tax benefit Part A). If you are unsure if you are eligible either give us a ring on 9225 6564 or Medicare on 132 011 (this is an automated service so you won’t be on hold for long!!!!). To Book in your child Give us a call on 9225 6564 today.